The McKrells are one of the Capital District's most well-known Irish and bluegrass acts, who performed at the top of the local music scene for 15 years before taking a hiatus in 2006. This concert at the Bennington Center for the Arts is a chance to hear the next iteration of of the McKrell band, with a few new members to carry this musical Irish tradition into the next generation. Folk singer, songwriter, and artist Kevin McKrell, has had his songs recorded and or performed by artists from around the world. He has performed in theaters, clubs and on festival stages across the United States, Canada, Ireland and the U.K. Prior to forming the McKrells, Kevin was a founding member of Celtic Folk band Donnybrook Fair. He and his bands have performed for audiences at the top Celtic, Folk and Bluegrass festivals as well as Carnegie Hall, Lincoln Center, Troy Music Hall, Caffé Lena, Berklee Performance Hall, Proctors Theater, Saratoga Performing Arts Center, The Egg, North Texas Irish Festival, The Landmark Theater Syracuse, Milwaukee Irish Festival, Celtic Classic, The Great American Irish Festival, MusikFest, Falcon Ridge Folk Festival, and Winterhawk Bluegrass Festival. Lead by Kevin, the New McKrell's is a high energy collective and a who's who of North Country Roots Music, each player a top draw in their own right. 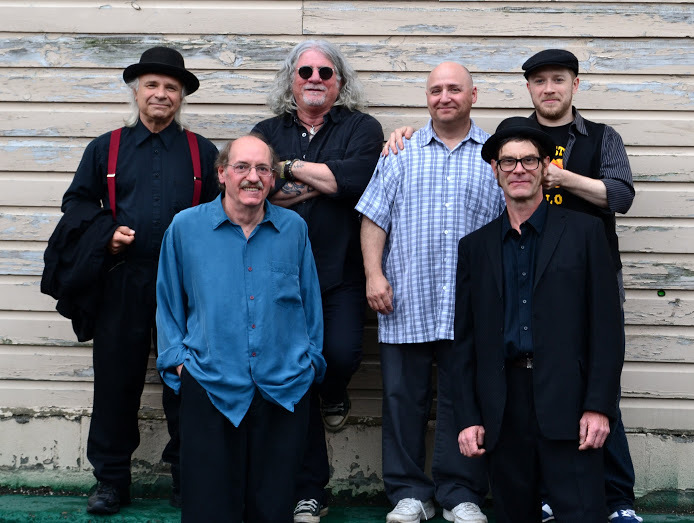 John Kribs is a songwriter and multi-instrumentalist who is known throughout the Northeast for the classic roots rock band Johnny and the Triumphs, the beloved Raquette River Rounders and the original McKrells. John plays guitar both electric and acoustic and banjo. On mandolin is Orion Kribs, a world-class string player endorsed by Godin-Seagull guitars. Orion is capable of break neck speed and nuanced solo work so crucial to the McKrell sound. Arlin Greene is the bass backbone of the group, a member of a musical family that has attained legendary status in the northeast. Son of the great Smokey Greene, he is a bassist of exceptional abilities, whether it is a high energy bluegrass stomp or one of McKrells' Celtic ballads. On percussion is Brian Melick, who is an active teacher and instrumentalist and has been featured on over 375 professional recordings. On fiddle, is Doug Moody, a Buffalo N.Y. legend for his work with the alt-country band The Steam Donkeys and The McKrells. The harmony vocals of these like minded musicians are stunning, the energy explosive, and each song a gem. They have been called amazing, brilliant, McKrellica. Don't miss out on this performance! Call The Bennington Center for the Arts at 802-442-7158 to purchase tickets.